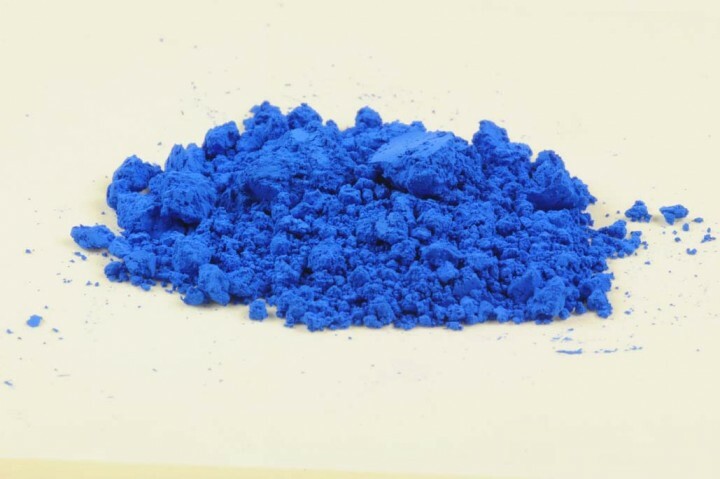 Cobalt Blue Dark, greenish | Spinel Pigments & similar Pigments | Pigments of Modern Age | Pigments | Kremer Pigments Inc. WARNING: Exercise care when using dry pigments. Do not eat, drink or smoke. Avoid breathing dust. Use a NIOSH-certified dust respirator. Wash hands immediately after use. If creation of dust is likely, wear protective clothing. This product contains chemicals known by the State of California to cause cancer. Customer evaluation for "Cobalt Blue Dark, greenish"